Consistently one of the best-performing state upper schools in its county, Ashby School approached us with the need for a number of refurbishment projects across the estate. 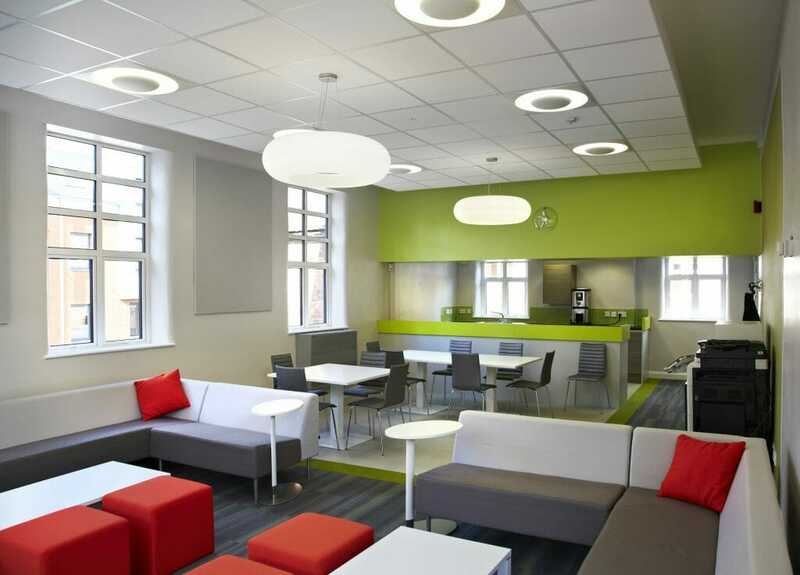 With a 400-year history, the team were keen for the spaces throughout the school to reflect its good reputation whilst serving the needs of over 1700 students and staff. 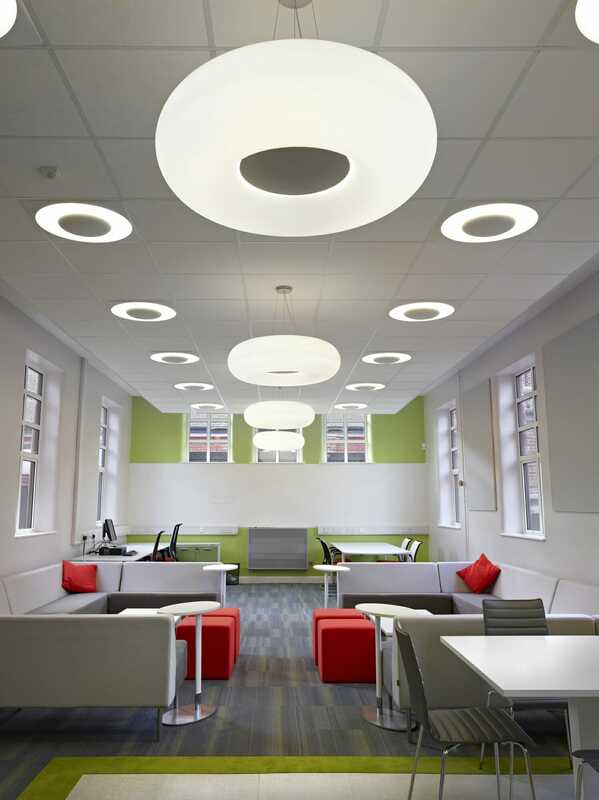 Our team began by identifying areas of opportunity where spaces could be remodelled to unlock their full potential and showcase the school in its best light. 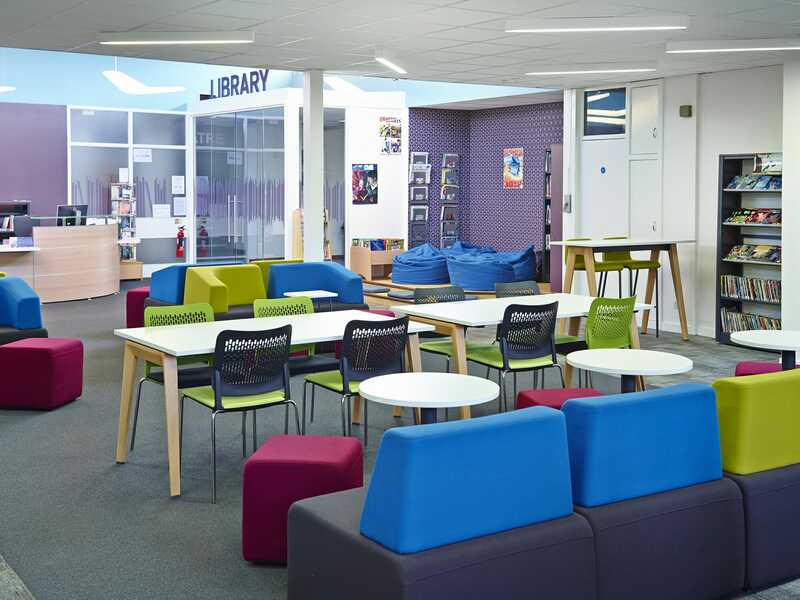 We worked with the project stakeholders – school head, business manager, estates manager, library staff and and students – to design and deliver a number of refurbishment projects. 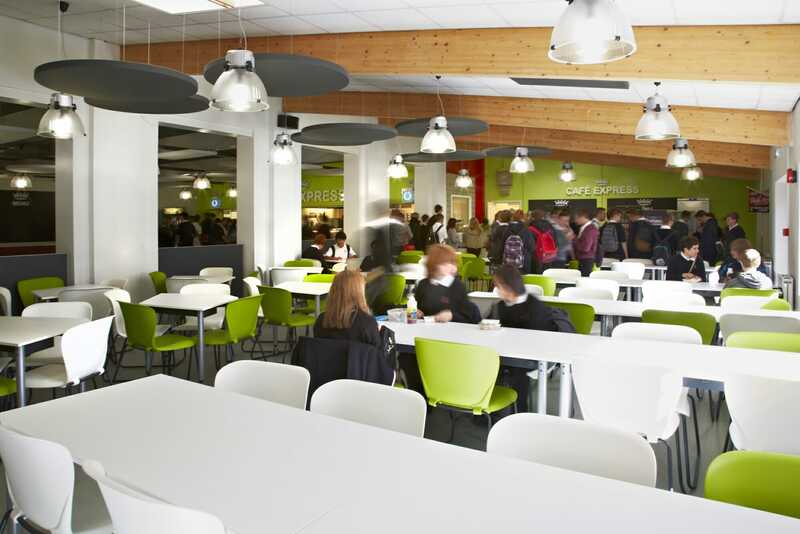 The whole project was delivered in phases, resulting in redesigned school signage, canteens, lecture theatre, library, staff room and reception. 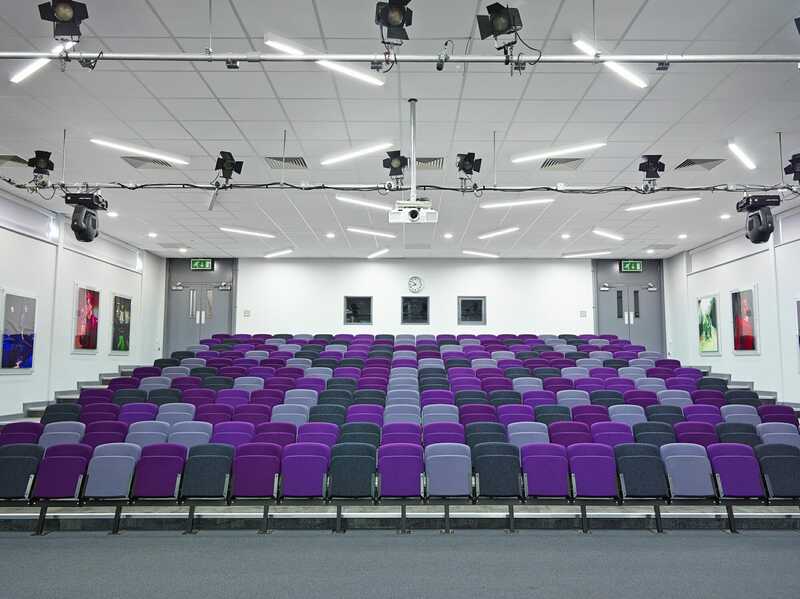 The refurbished rooms now take advantage of the available space, and provide optimised areas for both students and staff to use. The spaces throughout the school have been enhanced for current students, and have succeeded in promoting the school to attract new students. 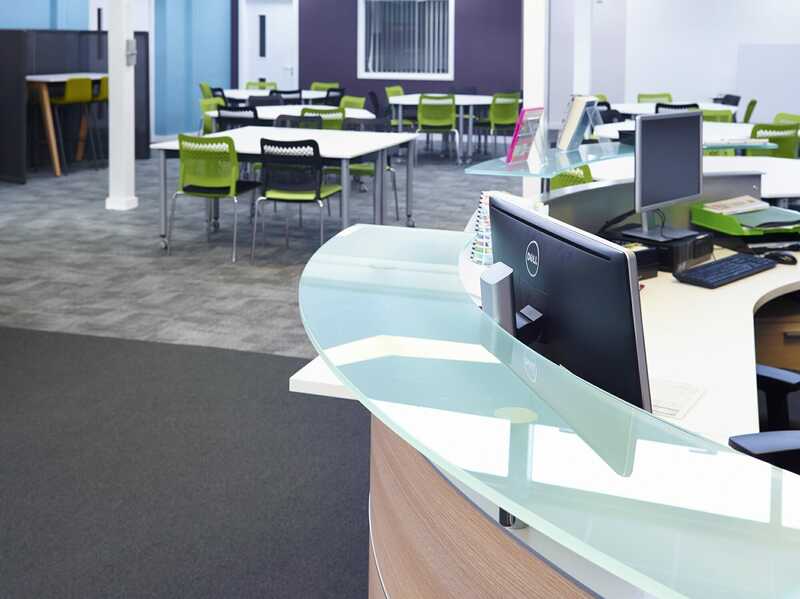 Blueprint proved themselves again during the remodelling of the school library, pushing the boundaries of what could be done within the space to make the spend even more compelling. 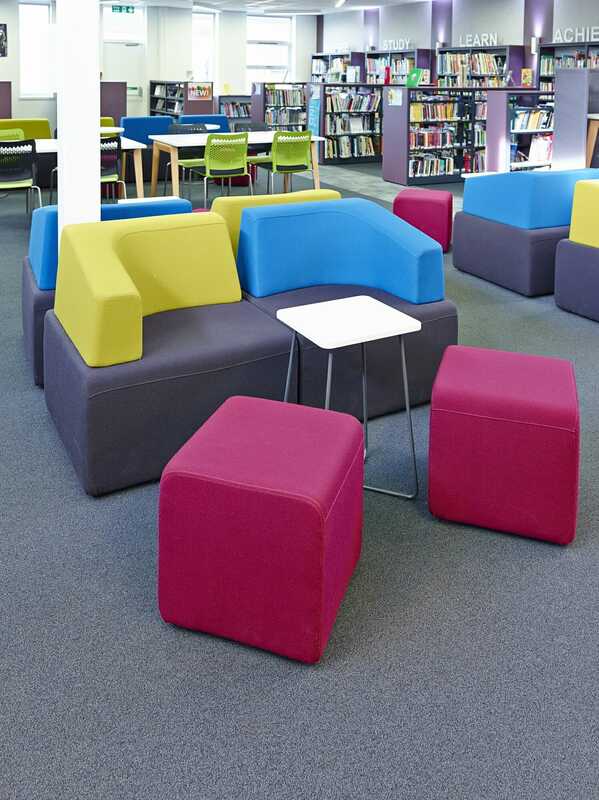 Teachers now use the space for more informal sessions and, together with the learning hub, the library is unlocking teaching methods that weren’t possible in a conventional classroom. More students use the space for private study as well.